OTTAWA -- As NAFTA negotiations resume this week, Canada and Mexico have been taking a hard line against the so-called "poison pills" the U.S. has put forward during their increasingly acrimonious talks. But sources say the two countries plan to give the Trump administration a rough ride in an area that hardly seems contentious: language from the original Trans-Pacific Partnership. Canada and Mexico, the sources say, are in no hurry to adopt the significant portions of TPP text that American negotiators have brought to the NAFTA table. President Donald Trump withdrew the U.S. from the massive 12-country Pacific Rim trade deal in January, but that hasn't stopped the U.S. from using it as a template to bring the 23-year-old NAFTA into the 21st century, updating it for the digital age and e-commerce. The sources, who spoke on condition of anonymity because of the sensitivity surrounding the NAFTA talks, say Canada has no incentive to give the U.S. an easy win on the proposed TPP boilerplate. That's because the U.S. has been putting forward untenable positions — the so-called non-starter "poison pills" in a five key areas — that some observers have suggested are designed to sabotage the talks and kill NAFTA outright. "We don't want to give it for free," said one source. "They wanted out (of the TPP) and now they want it for free." Another source said each specific American proposal is being examined on its merits, and that nothing will be rubber-stamped just because something may have been agreed to under the TPP, to which all three countries originally agreed. It all boils down to a time-honoured principle of negotiating, the source said: if one party wants a concession in one area, they have to be willing to pay for it elsewhere. That suggests that if the U.S. is seeking an easy win on TPP-related issues, it might have to concede in other contentious areas that Canada and Mexico find objectionable. Sources characterized that approach as a response to the poison-pill proposals — increasing American content in automobiles, attacking Canada's supply management system for agriculture, establishing a five-year sunset clause, doing away with a dispute settlement mechanism and reducing Mexican and Canadian access to bidding on U.S. procurement projects. Sources say no progress is expected to be made on those fronts during the fifth round of talks, which get underway in Mexico starting Wednesday. The focus, they say, will be on making incremental progress in a number of other areas — they wouldn't provide specifics — at the 28 separate bargaining tables. "These are non-negotiable, basically," trade expert Patrick Leblond, a senior fellow the Centre for International Governance Innovation, said of the most controversial U.S. proposals, which are untenable to Canada. "Will they just remain on the table? I think so. Progress will be made on the lesser issues." Mexico threw its support behind Canada last week at the APEC summit in Vietnam when Japan and Australia were leading a charge to strike a new version of the TPP without the United States. 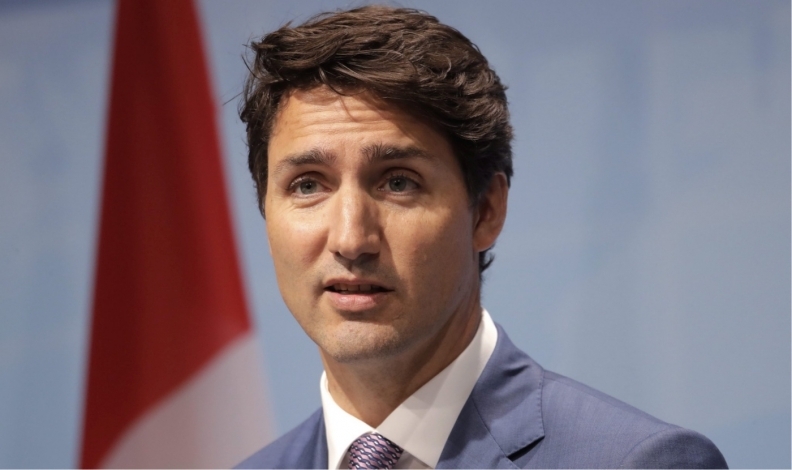 The Canadian Press has reported that Prime Minister Justin Trudeau met Mexican President Enrique Pena Nieto on the sidelines of the summit. Pena Nieto backed Trudeau's decision to delay moving ahead with a newly configured "TPP 11." The move angered the Australians in particular; one media outlet said Canada "screwed" its fellow TPP countries. Trudeau made no apologies afterwards, and said the TPP talks would help Canada in its tough NAFTA renegotiation. "It gives us more credibility when we want to explain that we won't accept any agreement — we wait until it's in the interests of Canadians."